To create a package, please apply the following steps. Please click My Property / Promotions from the HotelRunner panel. Click Packages from the left hand menu, and then click the Add Package button. Please select the package type you want to create. 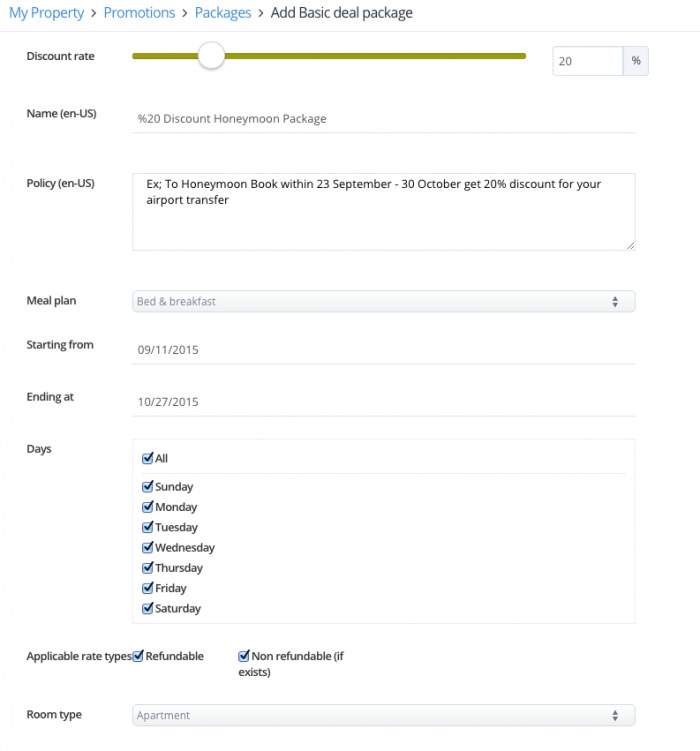 Please select the package discount, valid dates, days, rate type and the room type as well as the extra service you want to offer in the package. You must have an extra defined in the system to select extras. After completing your actions, click Save to create your package. You are entitled to adding 1 package and extra to sell in the free-of-charge HotelRunner package. 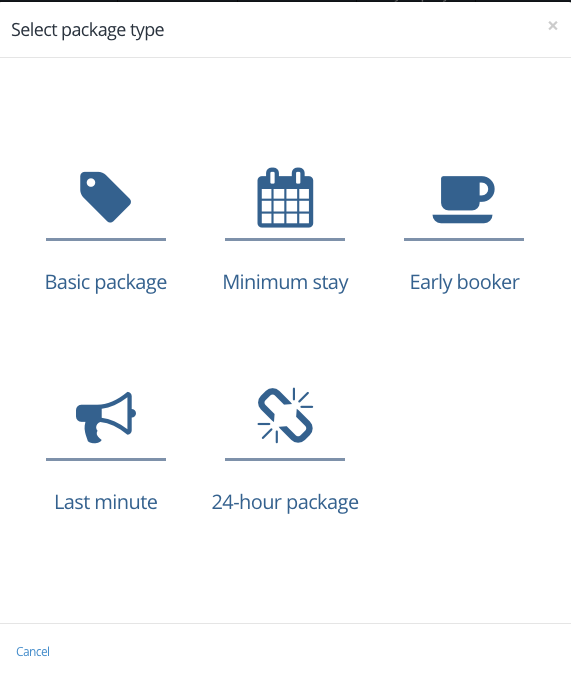 Please subscribe to the “Booking Button – Packages & Extras” package on the HotelRunner store to purchase more packages, extras to sell as well as sell your extras and offer a wider range of package options for your guests.